Have you been watching travel TV shows for years? Ever wanted to go on a foodie tour just like Anthony Bourdain? 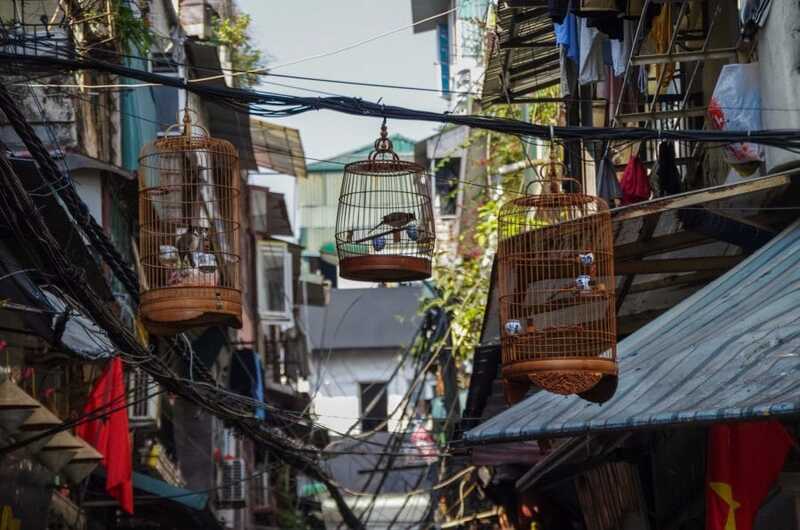 Our 3-day suggested foodie itinerary will take you to some of the places featured in the 8th season premiere of Anthony Bourdain’s award winning travelogue Parts Unknown in Hanoi, Vietnam. 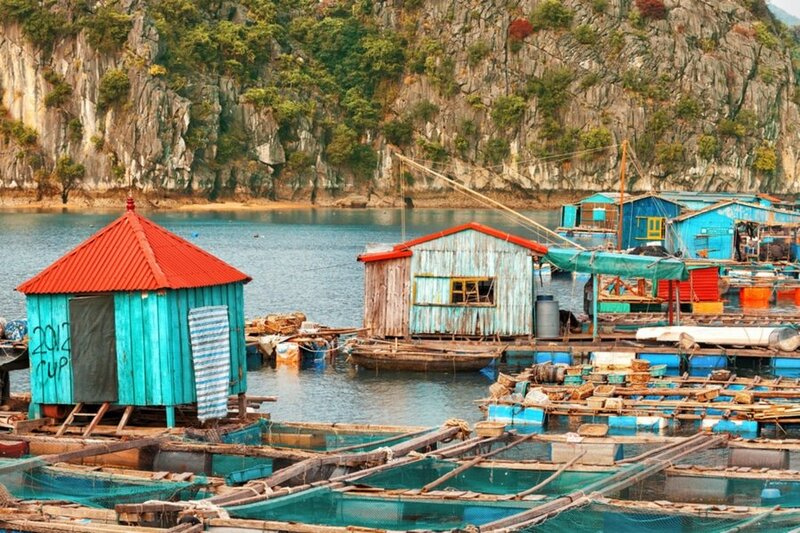 For 3 days, you would be able to visit Halong Bay, the Old Quarter of Hanoi, and some unique local shops like the Cussing Noodles. If this is your first time in Hanoi, you may fine tune this itinerary to include some tourist attractions in between the suggested foodie destinations. Language – Vietnamese is the official language of Vietnam. About 10% of the people can speak fluent English, mostly for business purposes. Most people in Hot An can understand and speak a decent level of English, so you can absolutely get by without speaking Vietnamese language. However, not all people in Hanoi can speak English so learning a few basic Vietnamese words and phrases is recommended. Just like in other countries, speaking at least some Vietnamese phrases or attempting to learn is greatly appreciated by the locals. 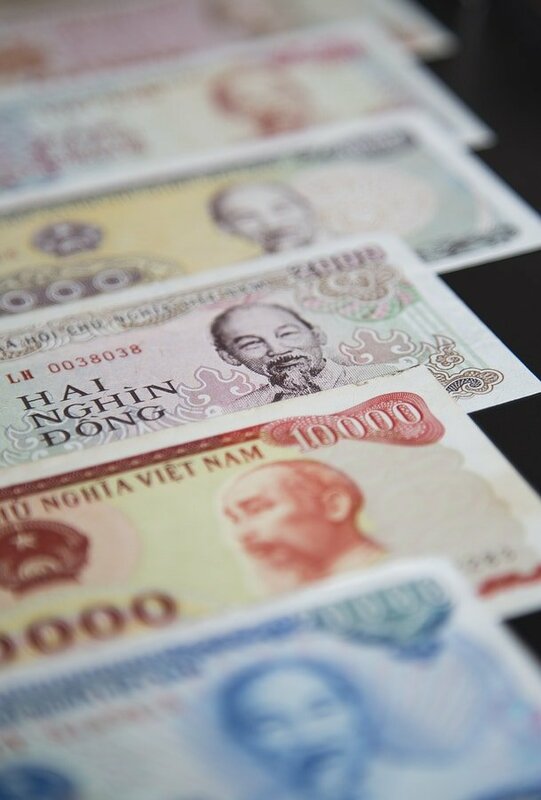 Currency exchange – The official currency used in Vietnam is the Vietnamese Dong (VND). ATMs can be found in Airport, most tourist centers and shopping malls across the country. Exchanging money in Hanoi is easy and follows the same standard to elsewhere in Southeast Asia. It’s also good to know that bigger establishments accept US dollars. International credit cards are accepted at most hotels and high-end stores, though small businesses, especially independently-owned stores and restaurants may accept cash only. Safety – There is currently no nationwide security advisory in effect for Vietnam. Check your country’s travel advisory website to get the most up-to-date information for your personal safety abroad. Hanoi is a safe city to travel in. Scam is the most common problem in tourists’ areas and remains the number one source of complaints from foreign visitors. Every traveler should take safety precautions because there has been incidence of petty crimes like pick pocketing and snatching, ATM scams, armed robberies and other opportunistic crimes targeting tourists. If you ever find yourself in Hanoi and other major Vietnamese cities, you have to remember that not every Vietnamese person you meet is out to scam you. Do your research, keep all your wits about you and always ask for personal recommendations from other travelers. Where to stay – Hanoi has a wide range of accommodation options, with something for every level of comfort and budget. If you are going to follow our suggested itinerary, we recommend accommodation options available in the old quarter to get easy access to most tourist attractions and dining options. 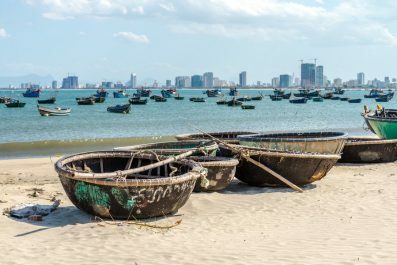 Ba Dinh District is another great option, which has the main cultural and historical monuments Hanoi. If you’ve been to Hanoi once before, and would like to venture away from the center, then we suggest guesthouses along the Tay Ho (Hanoi West Lake). Getting there – Hanoi, the capital of the reunified Vietnam, is located in Northern part of the country. Its geographical location is great because of its proximity to China and other countries in Southeast Asia. By air, you can book a flight to Noi Bai International Airport (HAN), located in the Phu Minh Commune in Soc Son District, from major cities in Asia like Bangkok, Kuala Lumpur, Manila, Tokyo, Seoul, Busan, Macau, Hong Kong and Singapore. By train, you can book your tickets to Hanoi train station from major Vietnamese cities like Ho Chi Minh City (Saigon), Hue, Da Nang and Nha Trang. By bus, there are also numerous departures for all domestic routes. Getting around – Getting around in Hanoi is fairly easy as most roads, walkways and bridges are well maintained. The city is quite small so you can easily explore by walking or renting a bike. Public transportation is easy to get used to and is budget friendly. Xe Om (motorcycle taxi) is one of the most famous ways to get around the city. Make sure to negotiate the fare before hopping on the motorcycle. Also, always carry a map (paper maps or digital maps in your smartphone), the name of your destination written down in Vietnamese and small bills for payment. If you prefer this mode of transport, make sure to ask your hotel receptionist for estimates. Other transportation options include local taxis (reputable taxi companies like Mai Linh and Vinasun), local buses and rental motorbikes. On your first day, start early and eat at one of the sidewalk restaurants in Hanoi’s Old Quarter. There’s no better way to start the day than slurping down a bowl of steaming hot and spicy Bún Ốc (snail rice noodles). It is one of the most popular breakfast dishes in Hanoi made from processed snail and rice noodles with the delightful addition of fresh vegetables and various herbs. Where to eat this dish? Just go down the streets of the old quarter and look for a place that you see a large number of local people gathering. After breakfast, make your way to the Temple of Literature. It is one of the oldest sites in Hanoi and was once the site of the Imperial Academy, Vietnam’s first university. Aside from beautiful architecture and artifacts, this is also a perfect place to learn about the Confucian and Chinese roots of Vietnam. Take a quick coffee break and get an authentic local experience at one of the sidewalk coffee stalls near the Temple of Literature. Order egg coffee (cà phê trứng), a popular Vietnamese drink made from Robusta coffee, egg yolk, condensed milk and sugar. For lunch, make your way to the “Cussing Noodles” restaurant and order Bánh canh, another popular dish in Vietnam made from thick noodle soup with pork hock. The name of the restaurant was derived from its mean owner, who shouts at every hungry customers to to hurry up and order, or just go home if they want to order something that isn’t included in their menu. Foreign travelers might be shocked or amused of this treatment but when you get to eat the Bánh canh, you’ll say it worth it. After lunch, a visit to the Ho Chi Minh Mausoleum is an excellent addition to your trip. This large memorial is dedicated Ho Chi Minh, which contains the embalmed body of the most iconic Vietnamese leader. In the evening, watch the Water Puppet Theater Show. 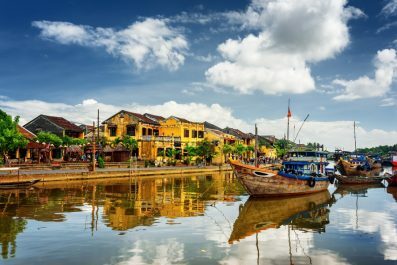 Not only this a good alternative to shopping and sight-seeing, it will also provide great entertainment as well as an opportunity to learn about this age-old art of North Vietnam. What makes this performance amazing is that it is distinctly Vietnamese – the ancient legends, folk tales, music and setting. After the show, head to the Bia Hơi Hải Xồm, the Vietnamese version of Beer garden. Here, you can get a taste of freshly brewed beer for just 45 cents! On day 2, embark on one of the most interesting day trips out of the city by heading to Halong Bay. It is perhaps the most famous tourist attraction in Hanoi, but it is no wonder why. This picturesque destination is rich with biological and geological diversity enough to be recognized as a UNESCO World Heritage Site in 1994. The best way to explore Ha Long Bay is through boat tours and sea kayak expeditions that will take visitors to thousands of towering limestone islands topped by lush rain forests. If you want to experience Halong Bay just like how Anthony Bourdain did, then book your trip on Emeraude. This rehabilitated steamer from the early 20th century will take you to some 1,000 towering limestone islands in the Gulf of Tonkin. For more information, check out their official website. 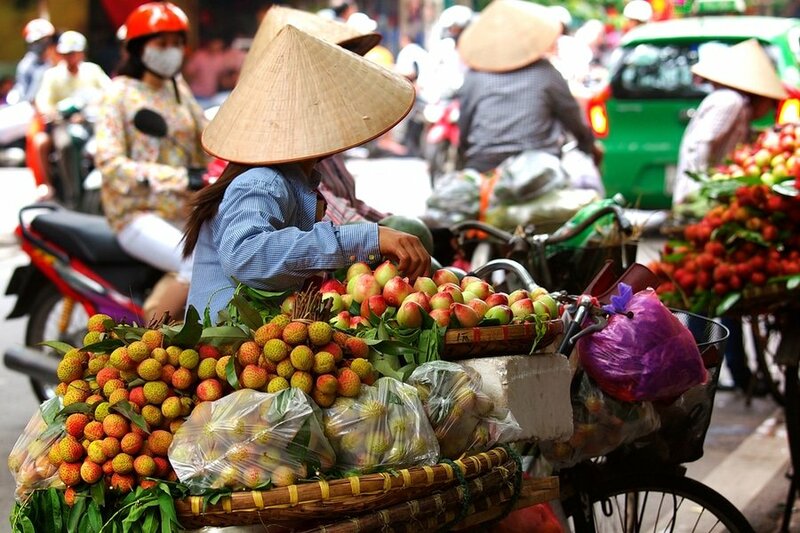 On day 3, continue your self-guided foodie tour of Hanoi. Our first matter of business is breakfast. Obviously, breakfast of every trip should be solid. So, we recommend some famous Banh Cuon (Vietnamese steamed rice rolls) at Thanh Van Banh Cuon located at 14 Hang Ga, Old Quarter. This Northern Vietnamese dish is made from steamed rice flour pancakes combined with minced pork and chopped mushrooms. It also comes with a small bowl of fish sauce mixed with chopped red hot pepper and garlic. 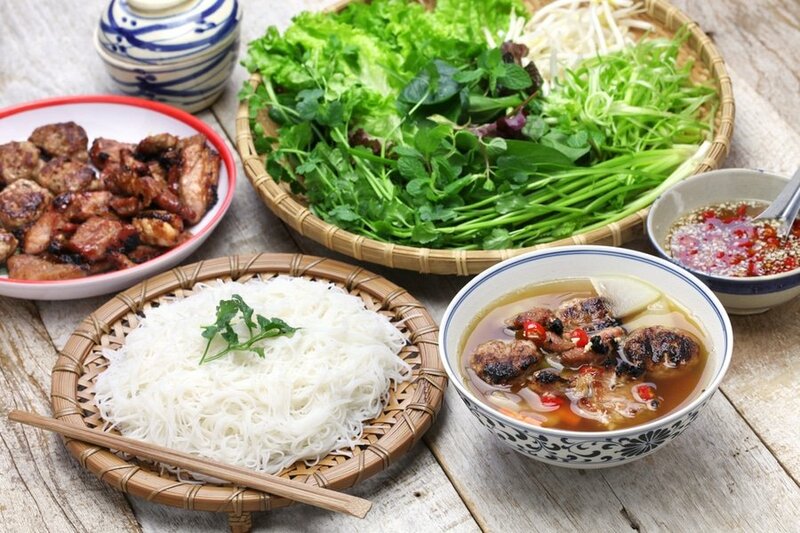 For lunch, every Vietnamese will suggest Bún chả, made from delicious Kebab rice noodles, grilled pork, vermicelli and nước chấm (Vietnamese fermented special fish sauce). First time travelers might get confused on how to eat this dish with baskets of herbs and grilled pork patties, so make sure to search about Anthony Bourdain’s bún chả etiquette. For your last dinner in Hanoi, try the Vietnamese Grilled Fish with Turmeric at Chả Cá Thăng Long. This legendary dish is made from a special kind of fish (Vietnamese call it cá Lăng) served grilled and and loaded with turmeric. If you want to learn more about Vietnamese Cuisine, then join a food tour which lasts for about 3 hours. 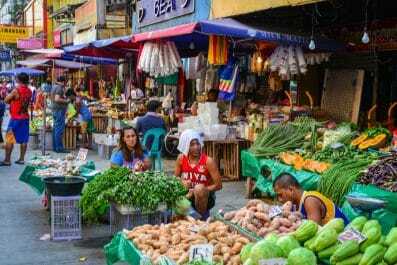 Hanoi Street Food Tours, HanoiKids Tour, Adventure Indochina Travel and Classy Travel – Day Tours are some of the top-rated tour companies in Hanoi offering excellent food tours. These food tours have excellent reviews in TripAdvisor, so you might want to check out what travelers say. If you want a more in-depth food experience, then you may consider joining a traditional cooking class, wherein you will learn how to cook the most popular Vietnamese cuisines and know its history and origin. You will also be introduced to traditional Hanoi flavors and learn the simplest way to cook them. There are plenty of tours offered online, so make sure to read reviews first before you make your reservation. Orchid Cooking Class & Restaurant, Blue Butterfly Cooking Class, Hanoi Cooking Centre and Awesome Travel – Home Cooking Class offer some of the best cooking classes in Hanoi based on TripAdvisor reviews. Have you been to Hanoi or anywhere else in Vietnam? Do you have any tips or suggestions to share? If so, you can leave your comments below. Your article provides helpful information for travelers. However, at the beginning of your article, you mentions “Chinese roots” of Vietnamese. It is extremely wrong. Vietnamese were influenced by Confusion and its literature. We have seperate and distinguished root and culture. We eat rice whereas Chinese eat flour. Our language uses many Chinese words but we have our own language and culture. I expect that you revise and make correction to your article.